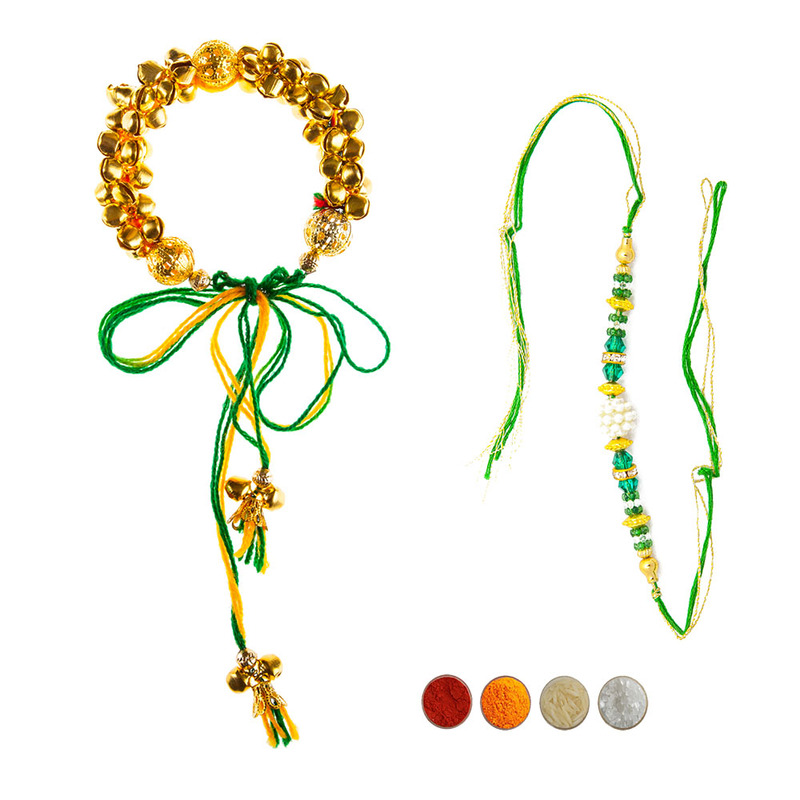 This is lovely set of 4 elegant rakhis including 2 fancy rakhis for kids and 2 designer pearl and beads rakhis for elder brothers. This would be a perfect family rakhi set option if you are looking for four rakhi including 2 little and 2 elder brothers. 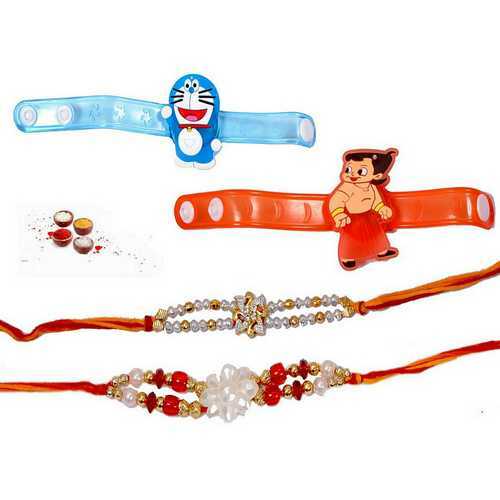 The first rakhi is a kids rakhi in blue color with exquisite design of kids� favorite cartoon character Doraemon. 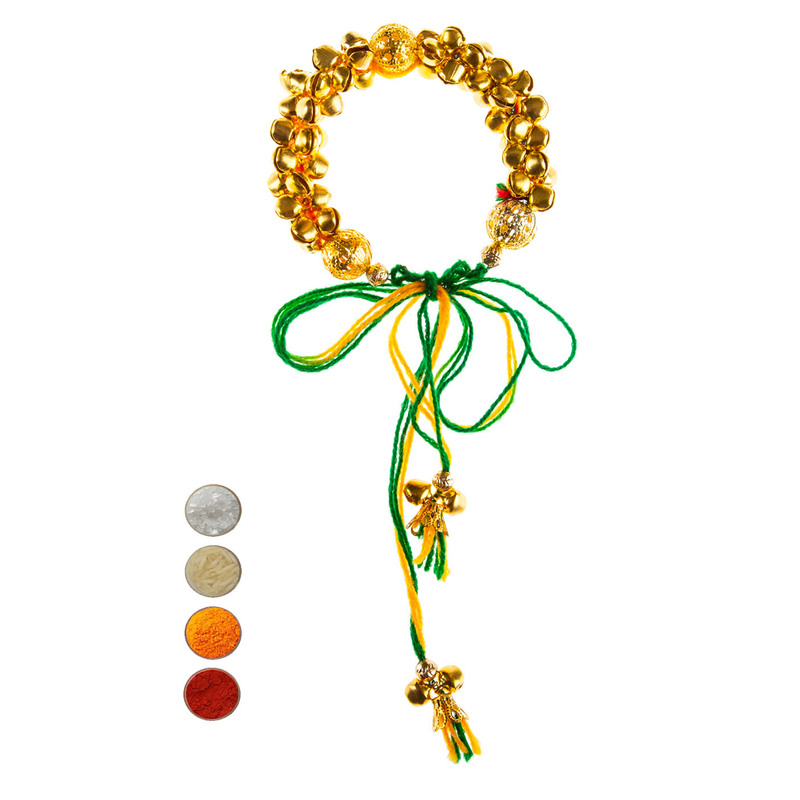 The second rakhi is also a kids� rakhi. It has orange color with design of kids� favorite cartoon character Chhota Bheem. The third rakhi is for your elder brother. It has mauli threads decked with golden and silver beads with stunning motif in the center. 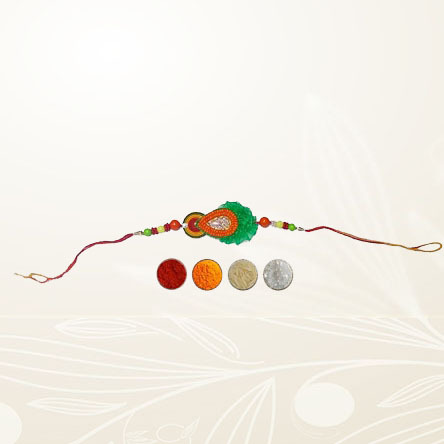 The four rakhi is also for your elder brother. 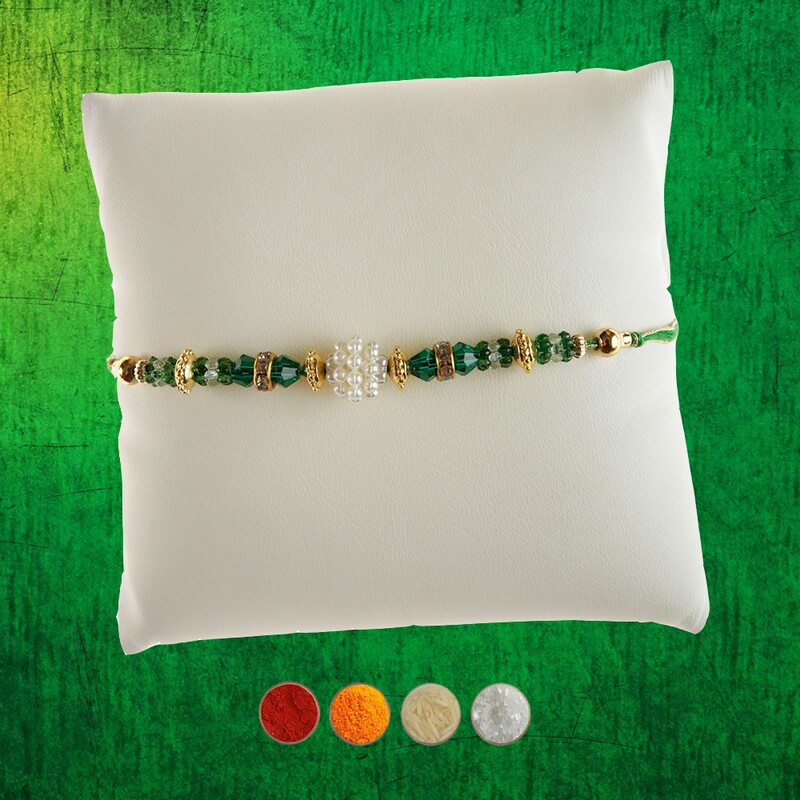 It is designed with sparkling white flora motif, pearls, and golden & red beads. It also has mauli threads. 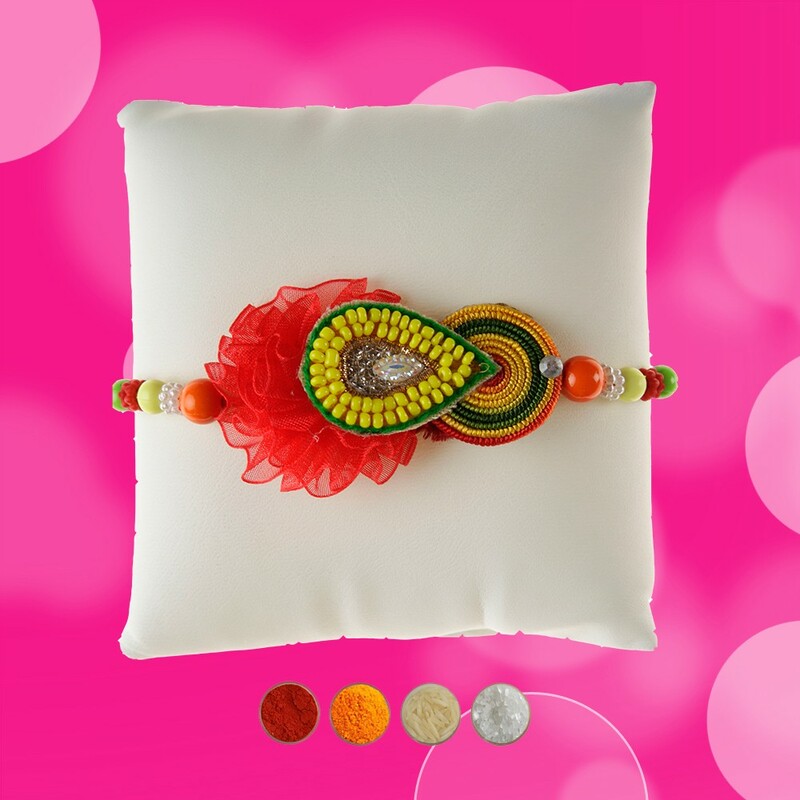 Send your love and wished with these elegant rakhis on this Rakhi festival. We are offering these rakhis with free Roli, Chawal, Chandan and Mishri in very attractive pack.